Three’s a crowd, but not with the three-way partnership between Triangulo Floors, Liberty Hardwood Floors and you! When these three are combined, we will come up with results-effective, cost-efficient, and client-responsive wood flooring solutions. With our combined resources, Triangulo and Liberty can and will deliver on high customer satisfaction that no other flooring solutions, systems and supplies distributor can provide for New Jersey residents. 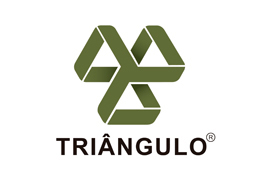 Established in 1972, Triangulo Floors has developed an ecological business philosophy – Man and Nature in Harmony - ahead of its time. Its innovative approach toward the industrialization of wood contributes to its rational and sustainable use of wood and its products as well as in forest protection and preservation. It is a continuing corporate commitment toward meeting present market requirements without compromising on the ability to deliver on future demands. Liberty Hardwood Floors, a leading supplier of flooring solutions, systems and supplies in the New Jersey area, proudly becomes part of Triangulo’s innovative approach toward wood products and commitment to customer satisfaction. We now offer our customers with Triangulo Floors’ wide range of durable wood products at competitive prices. Your choices in the products offered by Triangulo Floors are aplenty. You can choose from several collections with each collection providing more choices in type of wood, method of construction, and styles in grains, among others. You should ideally discuss your options with Liberty Hardwood Floors’ flooring experts to make a smarter choice in your flooring solution. The St. Augustine Collection provides customers with a comprehensive range of hardwood flooring solutions suitable for both indoor and outdoor solutions. Of course, certain products are more suitable for indoor than outdoor use so discussing the pros and cons for each product is a must. Choices include Ibiza, a light-colored wood evoking a tropical feel; Sevilha, a wood suitable for spacious living areas; and Granada, a dark-stained wood with a masculine feel. Consider the greater stability, versatility and beauty of engineered hardwood flooring from Triangulo Floors over laminated wood and solid hardwood. Engineered hardwood flooring consists of several layers of a core of hardwood, plywood or high-density fibreboard over a topmost layer of hardwood veneer. The result: Wooden flooring products that provide for greater stability especially against heat, humidity and moisture; higher resistance against mildew and mold; and faster installation especially for low-grade areas like basements, over radiant heaters, and concrete sub-floors. Choices in Triangulo’s engineered hardwood flooring include several hardwood species. These include Brazilian cherry, Brazilian chestnut, Brazilian pecan, Brazilian walnut, Brazilian ash, Maduro chestnut, and tigerwood. All of these products are suitable for the environmental conditions and design aesthetics in New Jersey. For most property owners, architects and building professionals, solid hardwood flooring is still the best choice because of its numerous benefits. Solid hardwood flooring is easy to install for people with experience, thanks to its stable and uniform fit, as well as easy to clean, elegant aesthetic, and durability – truly, a great long-term investment for residential and commercial buildings. Contact us or visit us for more information about the wood products with the Triangulo Floors brand offered by Liberty Hardwood Floors today! 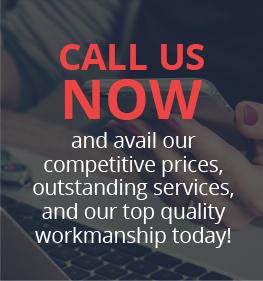 We can prove that, indeed, three forms a triangle of customer satisfaction.